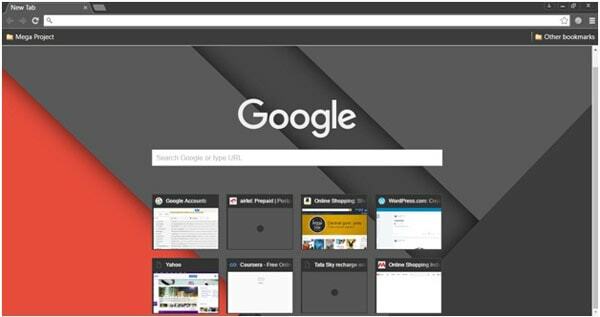 There are some really best Google Chrome themes giving users an enhancing experience with their eye-catching themes. Known for its speed, ease of use, security and simplicity, Google Chrome is one of the most widely used browsers across the globe! 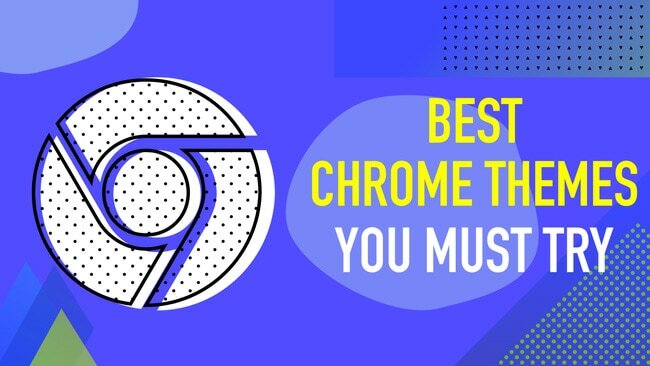 Inclusive of task management, bookmark sync, a pin tab and app shortcut feature, chrome is considered one of the most desirable browsers by different kinds of users. 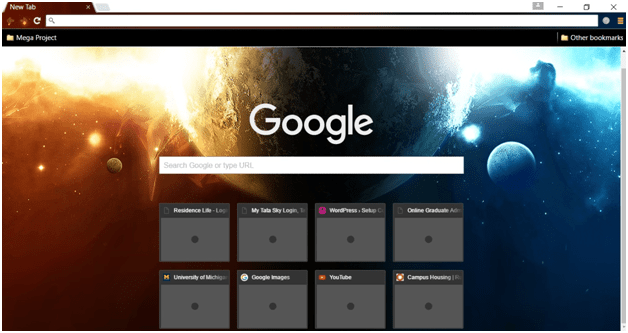 Among all these, customization is the best option provided by Google wherein you can add themes, games and extensions from the Chrome Web Store. Chrome themes, in simple words, are a type of extension whose functionality is to change the way your chrome browser looks. 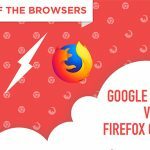 These can do great wonders in enhancing your daily experience with the chrome browser. Variety of aesthetics developed by Google is what you will fall in love with. 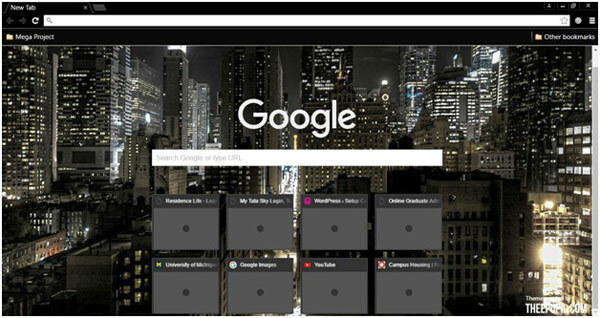 Below are some eye-catching and best themes for Google Chrome you will want to use in your browser. The Dark Material theme, offered by Deschênes, is purely based on the material design concept introduced by Google nearly two years ago. Since then it has been greatly loved by the Android users. Along with the smartphones, this look was also applied on the Google Chrome themes. You may notice that this theme is similar to the material design wallpapers launched with Android Lollipop version. The combination of red and grey colors is something that you won’t let your eyes off! It’s simple, yet got a classy look; surely a best suitable choice for the material design lovers. It just feels so refreshing when you take even a small glance of beachside and so does the beach theme. It has got an amazing essence that freshens up the mood. The Cancun Beach Mexico theme, offered by Amstar, has been brilliantly designed such that it covers both the sea and land portion giving it a perfect nature’s contour. Every time the user opens the browser, his/her eyes are left wide open with a huge curvy smile in the peace and calmness he experiences. There are various other beach themes that are inclusive of distinct aspects of a beach scenario and you may opt for the ones you love watching! When it comes to animal lovers theme, most of them end up applying the one with either a dog’s or cat’s background. 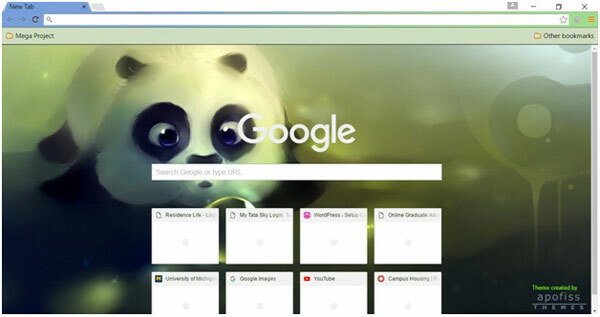 My purpose of introducing you to this Panda Dumpling theme, offered by Apofiss, is to let you explore others animals that can give a different and unique look to your chrome browser. P.S. You definitely cannot avoid the cuteness of this panda and especially when it’s an infant! 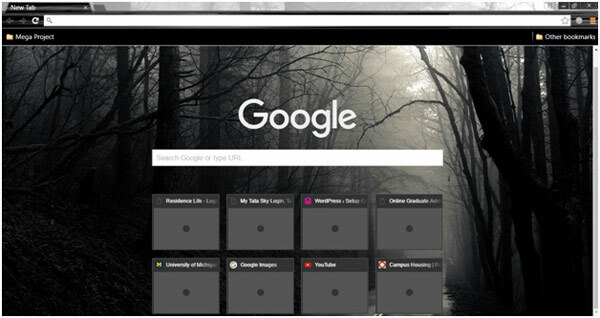 As mysterious as it sounds, Into the Mist theme, offered by Pjatton, is one of the most beautiful forest themes for chrome. Wherein the dense trees’ green and woody colors give a strong subject to its defined theme, a black and white contrast of the same can do wonders! The background of the theme consists of a narrow path surrounded by deep dark forest, which seem to give meager sunlight allowance to enter the area. Moreover, the mist has been successful in enhancing the density of the theme and indicating seasonal effects. Psychologically, users with a secretive mindset or overwhelmed with philosophy tend to save such chrome themes, which is, to every extent, often found very interesting. Winter is coming. But hang on, Rainy is already here! What can be the best theme for this climate other than the Raindrops (Non-Aero) theme, offered by Hay Hsu. The heavy water droplets appear on your browser as if it has actually rained the Chrome Web World. This theme gives an entirely natural look to which the user is surrounded in his real life. I would rather say it’s an absolute match for the user’s virtual world with respect to its real world. The Planet Spaceix theme, offered by Spaceix, is an excellent example of fluid space theme. Users with space science as their field of interest go for the space themes and particularly this one is surely to fall in love with! Conceptually splendid, this theme is greatly popular for its lighting contrast; one part experiencing the day time and relishing the sunlight while the other one must be in good tight sleep at its night time. New York City, the Capital of the World, the City of Dreams, the City that Never Sleeps, the Empire City, the Gotham, the Big apple and what not! Having these varieties of nicknames, NYC is a sure shot favorite destination of every other individual on this land. The NYC Night Theme, offered by Thee Pupil, is a promising theme to all the NYC lovers. It exhibits its skyscraper assets featuring the night life with illumination from each building; in all showing a busy yet full of enjoyment life of its residents. Users who fantasize the City and many more associated themes must not wait to add it to your chrome. Once done, you may not want to change it any further! 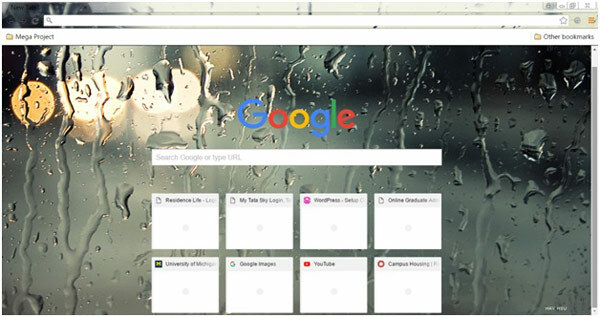 How to Create Your Own Google Chrome Theme? Google has some other theme domains such as the Art Gallery, Minimalist themes, Enchanting places, Under the Sea, Sports corner themes and so on. At the end of the day, what you would majorly want in the theme you choose is the ease it provides to your eyes when you look at it, which may, again, differ from user to user. Therefore, make wise decisions and enjoy chrome theme browsing. Readers may suggest more such elegant and best themes for Google Chrome and let other viewers acknowledge the same. Stay connected! It was a awesome article, many of them really do not use these awesomeness of chrome themes, these can really look cool, thank you for sharing those themes. Hi Nobin. Try https://www.techlila.com and let us know. That grey and orange colour makes it more professional. Thanks for sharing. I installed material dark theme just now and it looks great. I am loving it. Thanks for sharing the list. I must say that material dark theme is the only one which I like here. Thanks. These are really nice themes Aishwarya, I like the Panda one, it’s really cute and looks very simple once I installed it. These themes look great. Another thing you can do is use theme beta to make your own themes pretty easily. There’s a slight learning curve but then you can make your own theme. Good post. It was an awesome article, many of them really do not use this awesomeness of chrome themes, these can really look cool, thank you for sharing those themes.